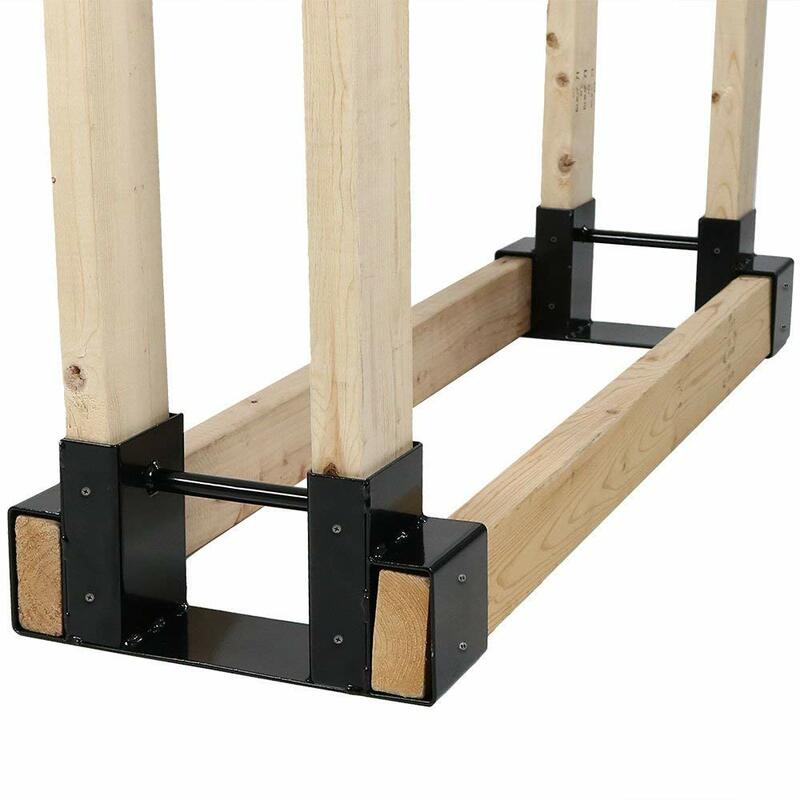 Using firewood rack brackets can make building a firewood rack quick and easy. Overall, building a firewood storage rack is relatively easy but it can involve cutting angles, proper reinforcement and general knowledge about construction. 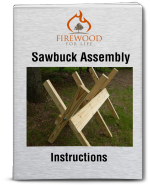 To make things easier and still insure you build a strong, stable firewood rack, pre-made brackets can be purchased. The steel pre-made brackets allow you to quickly and easily construct a firewood rack using 2x4's purchased from your local hardware store. What's the best thing about these brackets? There adjustable! By cutting the 2x4's to your desired length and height, you can build the rack as big or as small as you want. Firewood can be very heavy and building a rack to handle the weight can be tough. The weight of the firewood pushing out against the vertical uprights of the rack can cause the joints to become loose and fail over time. The pre-molded steel brackets allow you to slide the pre-cut 2x4's into the brackets creating a strong 90 degree angle. To add more strength and stability, most brackets have pre-drilled holes which allow you to add screws or nails to hold the 2x4's in place. The 2x4 construction elevates your firewood off the ground increasing air flow and reducing the chances of insects or rotting firewood. Use treated lumber to ensure your rack won't deteriorate from the weather. Treated lumber also tends to be slightly larger than untreated lumber. The extra width will ensure the lumber fits tightly into the brackets, eliminating a sloppy joint. Some users recommend placing a cross brace on the vertical uprights. Without the brace, the vertical uprights might not be perfectly plum. Scrap lumber left over from the construction can work great for this. The brackets can also be used to construct shelving, a workbench or anything that requires a 90 degree angle. Overall, if you're looking to build your own firewood rack a pre-designed bracket makes it really easy. You can make the rack as long or as short as you want, plus it takes all the guess work out of constructing a sturdy 90 degree angle.